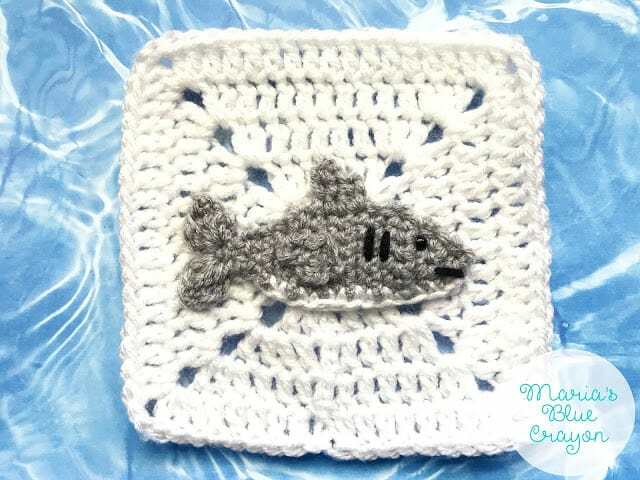 GET THE CROCHET SHARK APPLIQUE ALONG WITH THE GRANNY SQUARE PATTERN IN AN AD-FREE PDF DOWNLOAD HERE. 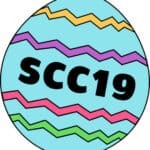 OR SCROLL DOWN FOR THE FREE SHARK CROCHET PATTERN. The Shark is the 10th square of my Ocean Afghan. To find all the information about this Afghan click here. 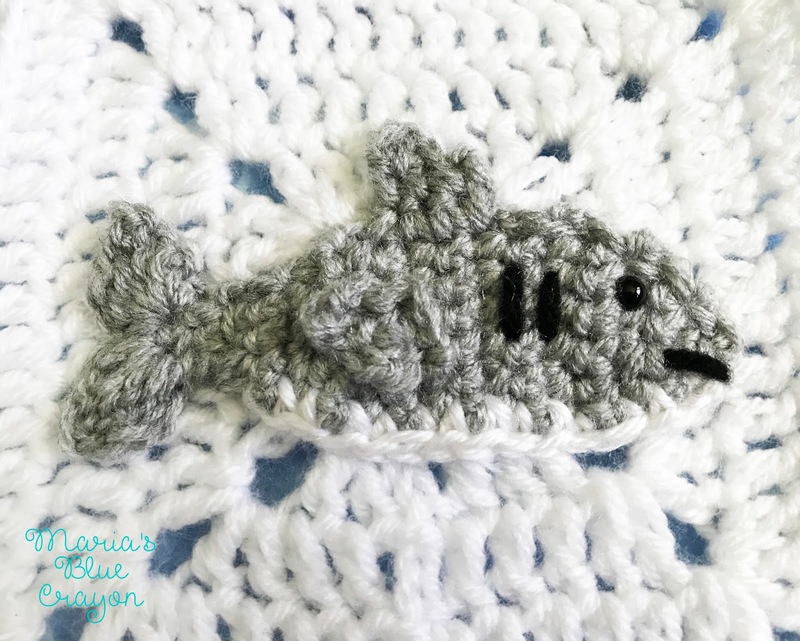 Shark week is coming up on Discovery channel in a few weeks, so I just had to design a shark for the Ocean Afghan! Do you guys watch Shark week? I’m not by any means a die-hard fan or watch it religiously, but I do enjoy watching some of the segments they put up for the week! So I officially have 2/3 of the designed squares done!! It’s the final stretch!! I do have a good idea of what the last 5 squares will be, so I’m hoping they will all work out. If you are a designer or create things on your own, you know that things don’t always come out as planned. Several of these squares so far I have reworked and reworked, and some I even had to change my vision for because they just weren’t panning out the way I thought. The “right side” of the shark will be with the tail on the left and the face on the right. Chain 1, SC across until there are 2 stitches left. Slip stitch and fasten off. When I start on this in September or October I will start with the Shark! Thank you!